Drying Time: 24 days raised drying beds | Raking and rotation (6) times beginning at 7am until 6pm. 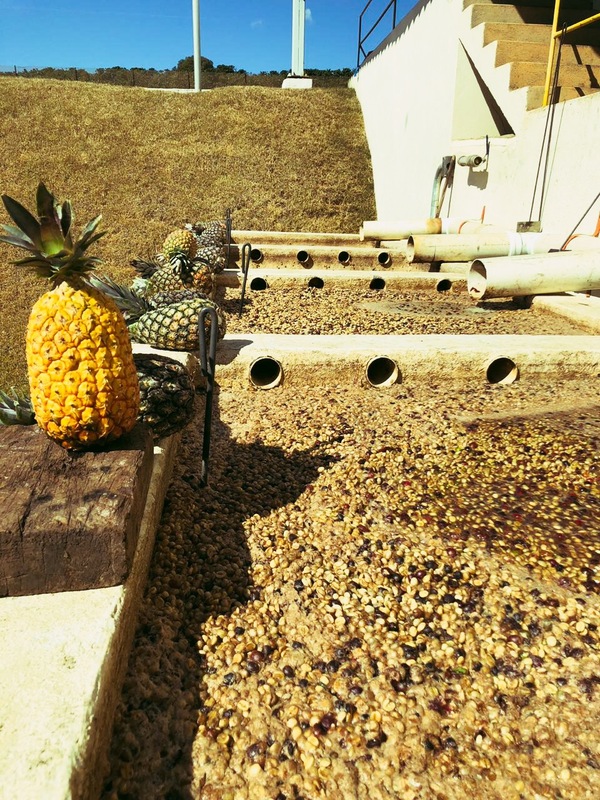 48 Hour Anaerobic Fermentation with Passion Fruit - We have 4 fermentation tanks at the farm, and the 48 hour process is the first fermentation lot experiment we have ever attempted at Our Coffees. The coffee cherries first pass through the depulper to remove the cherry skin from the coffee cherry and allow 70% of the mucilage to remain covering the seed with a golden/yellow complexion. 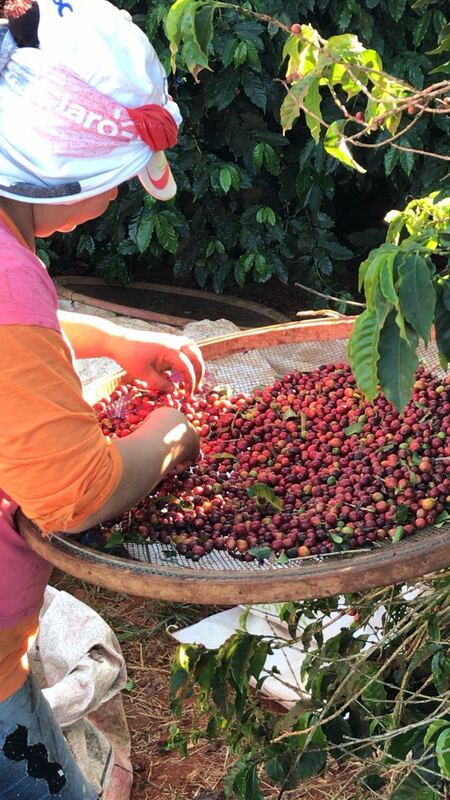 The coffee is then placed in fresh water tanks with passion fruit immediately after depulping for 48 hours. 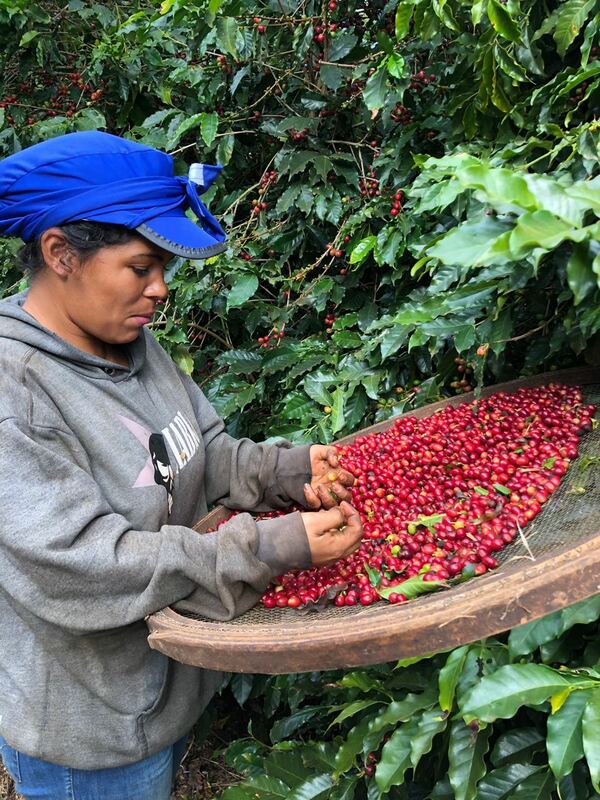 The coffee is rotated by hand 3 times a day and regulated with fresh water to maintain stable temperature conditions during the fermentation period. Following the fermentation period in the tanks, the coffee is then placed to dry on the raised drying beds for 24 days and is raked and rotated 6 times daily for consistent exposure and airflow. We are excited to announce an exclusively special limited reserve “Para Ela” Collection that is 100% hand selected. These coffees are very near and dear to our hearts. 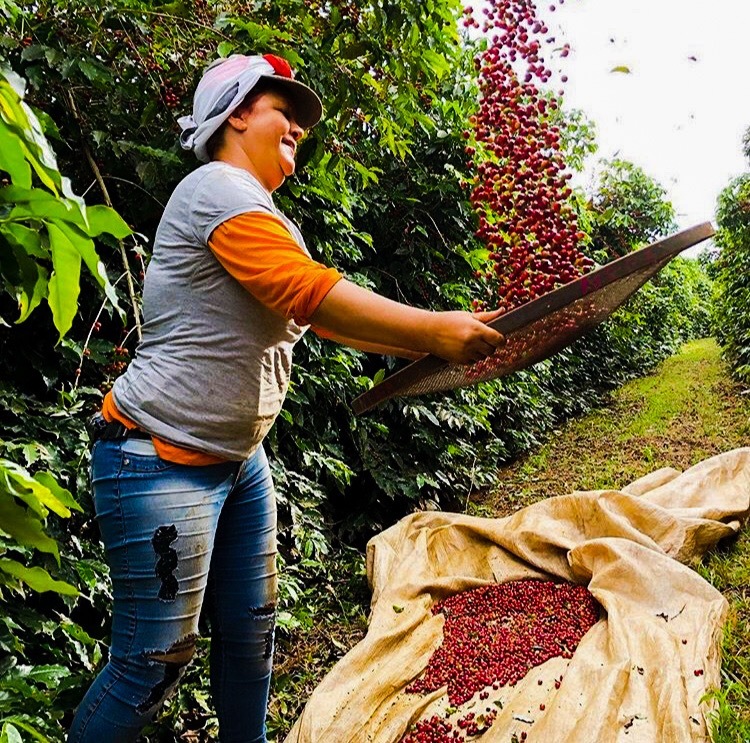 They were carefully selected and sorted with love by the women of Our Coffees. “Para Ela”, which translates "For Her" is our representation to the world of what we can achieve through the power of coffee. 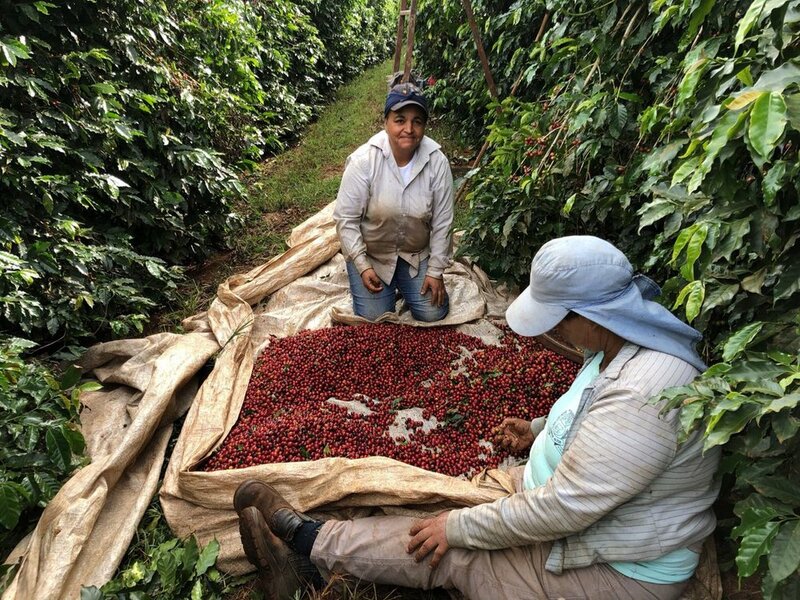 During the 4 month hand selection and sorting season, to financially empower the women of Campos Altos and shine a light on the financial disparity occurring in the country, we decided to take action and dedicate the entire hand selection and micro lot production to be harvested only by women. During the hand selection season, our pickers earned 50% higher wages than the regional average, and employee household incomes increased by 85% during the picking season as a direct result of the Para Elas production. The ripest and most pristine cherries were carefully hand selected and sorted with love exclusively and only by the women of Campos Altos. Fazenda Gabriela is the name of Ronaldo and Nathalia's daughter, also the first grand daughter of José Maria. Fazenda Gabriela is the latest addition to Our Coffees by José Maria, and our little lady Gabriela is the newest addition to our family. The land is nearby our neighboring Fazenda Mirante, and contains a beautiful spring blue lake on the farm.